The Vincast Live with Ben Ranken & Dan Buckle – What are the right grape varieties for Australian wine? Late in 2017, in conjunction with Ear Buds, I held the first edition of The Vincast Live at Noisy Ritual in Brunswick East and on Facebook Live. Two former guests of The Vincast – Ben Ranken from Galli Estate (Episode 127) and Dan Buckle (Episode 67) from Chandon Australia – joined myself and co-host Nevena Spirovska (Quickie Podcast) to talk about grape varieties in Australia: what are they, why are they, where are they and what are the best ones? I hope you enjoy this chat, as much as the live audience did. Please provide us with some feedback and interest in a future edition. Becoming the Chief Winemaker for Mount Pleasant Wines – one of the most important and historic vineyard/winery operations in Australia – is no mean feat. Being only the fourth chief winemaker since Maurice O’Shea is even more impressive. With incredible and diverse winemaking experience behind him, Jim Chatto did this a few years ago. He also manage to find time to produce some outstanding wines in Tasmania under the Chatto Wines label, where he has also recently been appointed Chief Winemaker of Kreglinger Estates. I’ve been friends with Sam Jorgensen (aka Old Mate Wine) on social media for a few years, and was thrilled to finally meet him in person over in Perth two years ago. He’s been working in the industry for a while and gave me a bottle of his first wine to taste. Two years later his approach to riesling has changed a bit, and while he and his partner were over for dinner I thought I would open his 2016 riesling with him, to discuss how he made it last year. Let me know what your thoughts are in the comments below. Like so many in the industry, Brian Walsh got into the wine business almost by accident. As a teenager from the McLaren Vale, he was more interested in surfing that wine, but needing a job he took what was intended as a temporary position with Chateau Reynalla. He spent 20 years working in the McLaren Vale before accepting the position of chief winemaker at Yalumba in the Barossa in 1988. After an incredible 26 years he stepped away from full-time winemaking, and now sits on a number of industry boards, including the chair of Wine Australia. After many years of experience in the hospitality industry and thousands of wines tasted, Steve Kimonides – sommelier at Il Bacaro restaurant in Melbourne – and his colleague Raph started their own catering business. 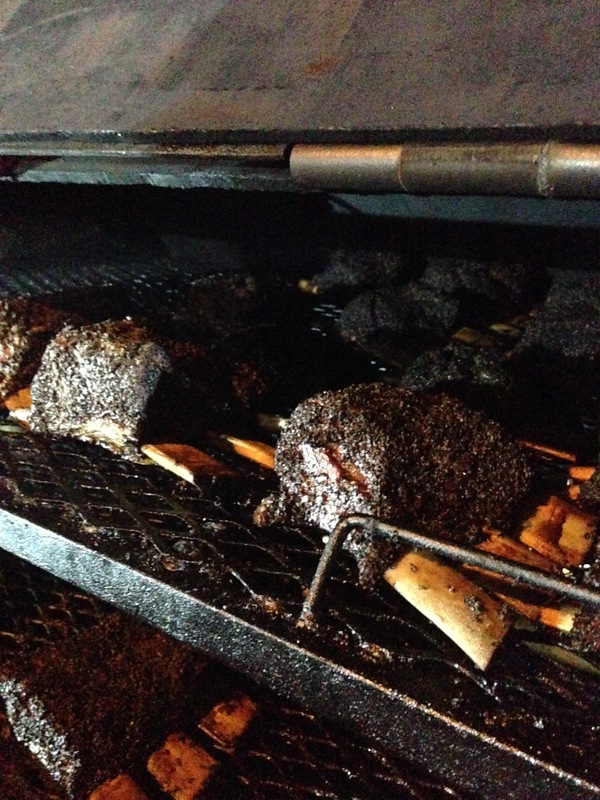 Burn City Smokers is dedicated to slow roasted smoked meats, and is already turning heads and tastebuds. On this episode Steve tells me all about how he went from front of house to back, and how he prepares and cooks the meat.